We are the sterling Manufacturers and Exporters of Superior Quality High End Machinery. Since 2004, we have specialized in making unmatched Jewelery Making Machines, Industrial SPM and Automations. Using state of art technology we have successfully developed highly effective machinery that are used in various industries. We have been manufacturing machinery that are used world wide and are much appreciated over a span of time. Headquartered in near Brindhavan circle kuniyamuthur Coimbatore Tamilnadu India. 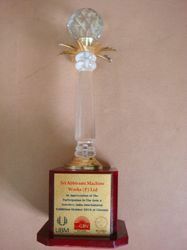 Sri Abbirami Machine Works Pvt. Ltd has grown its network across India and abroad. We have acquired highly professional engineers and committed vendors who maintain high quality standards to completely satisfy our customers. Dedication to quality has always been out motto and we strive to archive it at every step. Manufacturing, Trading, Importer & exporter of Jewelry Making Machines. We maintain very high quality standards at every step for our manufacturing process, we also follow set of quality norms while delivering these machines to our clients. We have employed highly trained and professional people who continuously perform quality checks to assure manufacture of flawless machinery. We have been manufacturing premium quality machinery and automations for our demanding clients over a span of time. 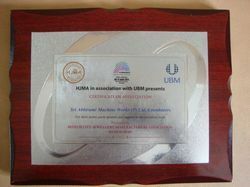 This has been possible only because of our strict quality measures which make us different from others. We have developed a full fledged, well equipped laboratory close to our manufacturing unit to ensure quality consistency of our delicate machines. We keep updating our quality engineers on a regular basis with the ongoing industrial trends. Our company has always had a very professional set up, which helps us to maintain quality standards in manufacturing and exporting of efficient machinery. Based on our product evolution and innovation expertise, we put surplus efforts in understanding the necessities of our clients and make our machines better with time. We professionally maintain clarity and parity in our deals and follow international standards in our process of delivering as well. We keep a close eyes on market trends and update our technology base quite often to be ahead of the competition. 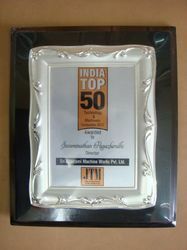 Our company is selected as India's top 50 in technology and machinery by JTM. 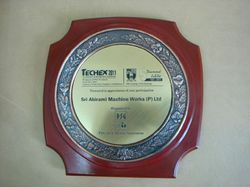 We have participated in TECHEX 2011 at Coimbatore. We plan to be a global leader in manufacturing and exporting of superior quality machinery and automation. With our dedicated work force and commitment to quality we would continuously keep our esteemed clients satisfied. 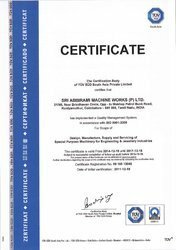 Since the demand for these high end machinery is growing and we have been receiving positive feedback for our machines world over. We are amplifying our manufacturing abilities and distribution network to meet this global requirement. We are recognized for participation of The Gem & Jewellery India International Exhibition on October 2016 at Chennai. 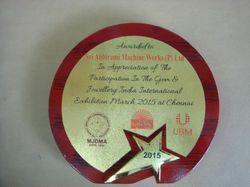 Appreciation award for particpation in The Gem & Jewellery India International Exhibition on March 2015 at Chennai. We are effectively participated in support of Jewellery Trade. Our company has always abide by some policies that it thinks is very ethical and professional. We can provide samples to our clients one they have confirmed their order and have paid at least partly for the deal. We also accept cheques and DD''s. We maintain utmost privacy of our deals and we value our clients personal information. We are dedicated to provide complete customer satisfaction for which we have maintained a stringent quality policy. We are always happy to assist industries in terms of research and study of machinery. We have highly qualified team of engineers who dedicate themselves in developing superior quality machinery. We have used highly sophisticated technology to design our facilities which abide by international standards too. We always happy to assist with the study and eventual solutions on your problems. A team of qualified product development engineers.